Which Air Conditioner Fits My Home the Best? Is it time to install a new air conditioner? If so, you already know this is an important investment and addition to your home. It’s important for the new unit you choose to be a good fit for your unique home. Many factors come into play, and the right choice has an impact on the price as well as your air conditioner’s performance for years to come. Demystifying AC Terms – Before we dive into the nitty-gritty, let’s get familiar with the basics. Learning a few key AC terms can help you understand a little better what your home’s AC needs are today. Tonnage – Air conditioners come in a variety of sizes. The size of an AC unit is measured in what savvy homeowners and HVAC professionals refer to as tonnage. Tonnage is a measure of an air conditioner’s ability to cool your space. One ton is equal to the system’s ability to cool 12,000 BTUs in an hour. A two-ton air conditioner would be able to cool at a rate of 24,000 BTUs per hour and so on and so forth. BTUs – BTU stands for British Thermal Unit and is the amount of energy required to heat or cool one pound of water by one degree Fahrenheit. Your typical air conditioner ranges from 1.5-ton to 5-ton units. They will increase over .5 ton increments, and a unit of 5-tons or higher is generally used for commercial, not residential, purposes. So, What Factors Should I Be Thinking About When I Install A New Air Conditioner? The Makeup of a Unique Home – Each home (even in the same neighborhood) has its own unique layout, which impacts the type of air conditioner you can choose from. Factors in your home affecting your choice of central air conditioner will include the height of your ceilings and the type and thickness of your insulation. Everyone’s home configuration will be different and your HVAC professional should be able to ask a few key questions to determine what would work best. The Size of Your Home – Bigger is not always better, especially when you consider the impact a larger air conditioner might have on your energy bill and carbon footprint. Most HVAC professionals will recommend using multiple AC units in tandem for larger homes to keep things at optimal comfort levels as well as improve energy efficiency. The HVAC professional at Keith Air Conditioning can help you determine if a repair of your existing air conditioner is your best course of action or if a new unit is in order. Once a decision is made, we’ll help you select the perfect unit for your unique home. 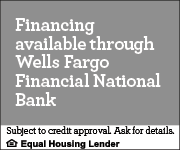 We even offer financing options to help you offset any financial challenges you may be facing. Our team is standing by to assist you with all your HVAC service, repair and installation needs. To get your healthy lifetime relationship with your HVAC unit started today, don’t hesitate to Contact the air conditioning experts at Keith Air to get started!